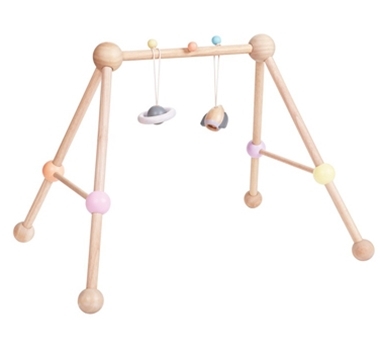 PlanToys are safe and sustainably made wooden toys made of reclaimed rubber wood that enhance creative play and development for children, especially during their first five formative years. These toys are made with natural resources employing manufacturing processes aimed at creating minimal to zero waste. The rubberwood used is a sustainable by-product of the latex industry's harvesting of trees used for natural rubber production and would otherwise be discarded. Other safe, sustainable and organic processes in making these toys include using organic color pigment, non-toxic water-based dyes, non-formaldehyde glue and soy ink and recycled paper for packaging.